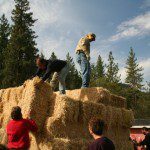 Not all people who build straw bale homes build them off grid and not all off grid people live in straw bale houses; however, when they are used in combination, the marriage between the two is solid and effective. I’ve outlined the top five reasons why they work so well together below. 1. Efficiency. This is perhaps the most important reason. When living off the grid, it’s vital that all of your systems be as energy efficient as possible. This is true for any home in my opinion, but when one is personally responsible for creating the energy used to power their home (solar, hydro, wind, etc.) and the energy used to heat and cool it (geothermal, passive solar design, etc. ), one very quickly becomes aware of how important energy efficiency is. 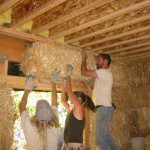 Straw bale homes are extremely efficient and can save their homeowners up to (and perhaps even more than) 75% on their heating and cooling costs each year when compared to conventional construction. 2. Owner-builder potential. 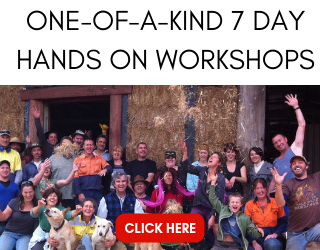 Many of us who live off grid have built our own homes or plan to in the near future. 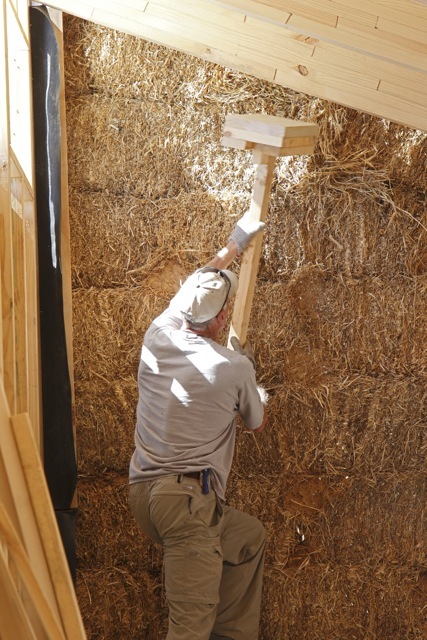 With proper education, a straw bale home can be built by an owner-builder with success. As with any construction, the more information you are armed with, the more successful you will be. 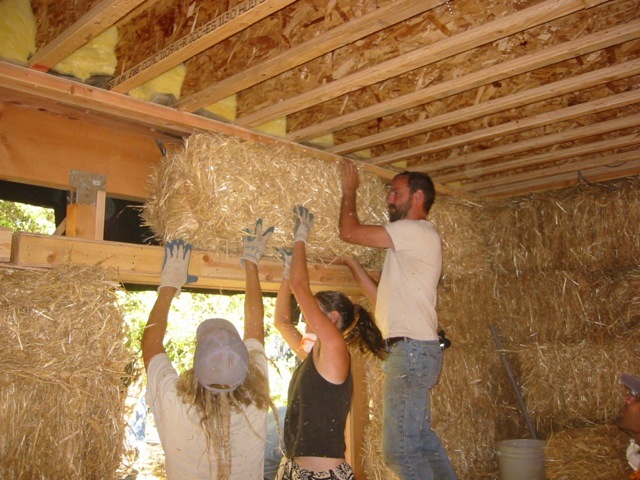 There is a ton of free information on this page on how to build a straw bale house. 3. Natural materials. 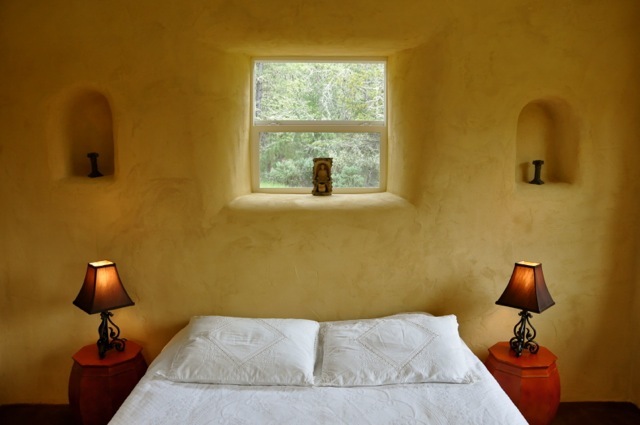 Many off grid enthusiasts choose to move away from the grid in order to live a more simple and natural life. 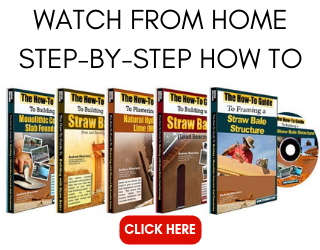 The use of straw, a waste product from the cereal grain industry (in general), lines up perfectly with this desire. It is a natural, renewable resource that would otherwise be discarded. It does not off-gas and it allows the building to breathe, meaning the interior air quality is very healthy. 4. 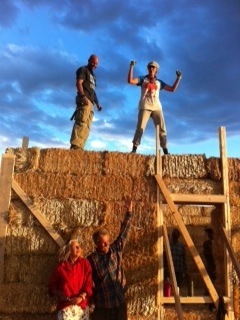 Build yourself a fortress. 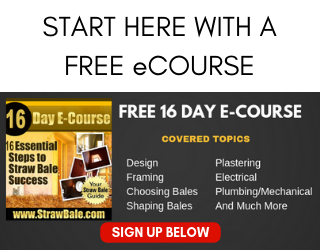 Bale structures have been shown to stop projectiles in tornado simulation testing due to their thick walls, plaster coats and mesh reinforcement. They have also proved to be extremely strong in earthquake tests and fire resistance. 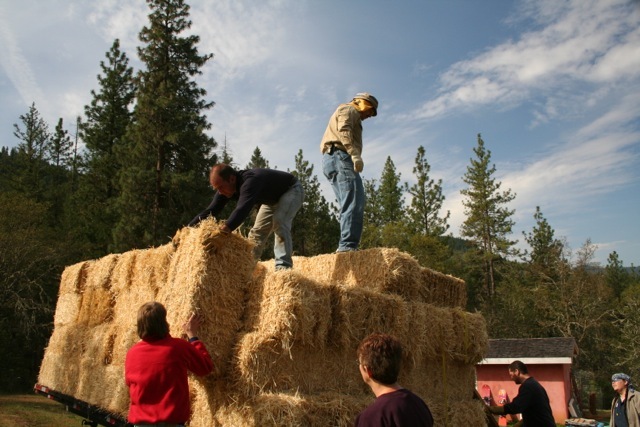 For example, a test done at the University of Nevada-Reno showed that a bale assembly was able to resist an earthquake 200% of the Northridge, CA quake. That’s a HUGE quake. In ASTM testing, bale wall assemblies performed three times as well as conventional wall systems for fire resistance, again due to the density of the wall and the thickness of the plaster coats. In fact, they received a rating of three times the fire resistance! 5. It can be done very inexpensively. 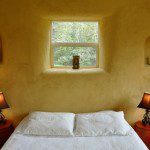 Although straw bale homes can be expensive to build with specific detailing and finishes, they can also be built very inexpensively. I know of people who have salvaged their windows, doors and other building materials, and finished their home for less than $15/SF. That’s incredible inexpensive. 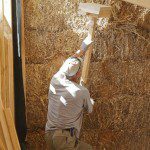 With your own labor, smart material choices, and some salvaging along the way, you can build a straw bale house for very little cost.